Thank you for submitting your item for appraisal. 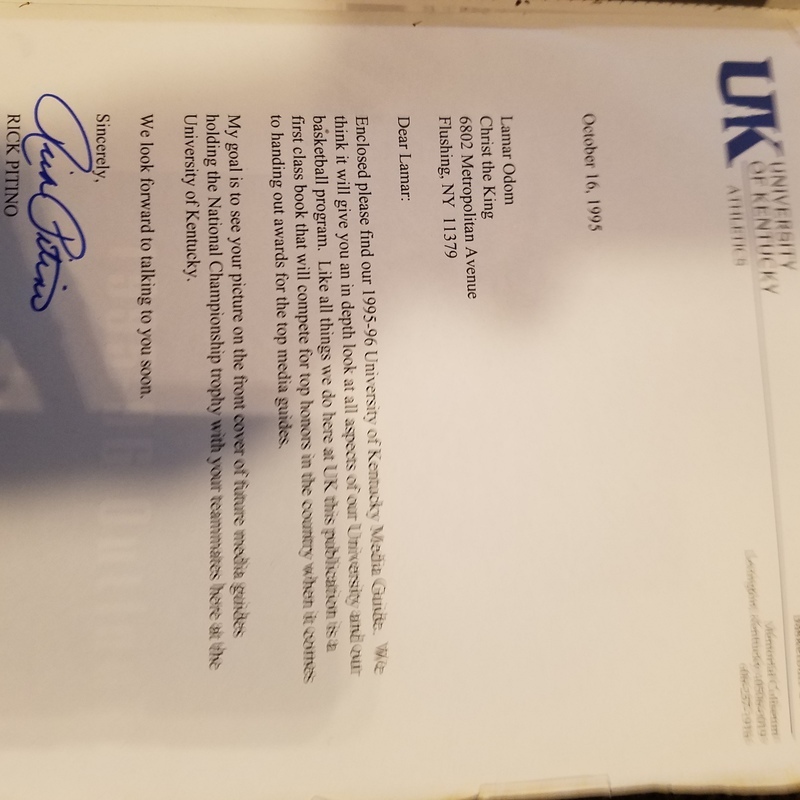 This appears to be a book published by the University of Kentucky together with a letter addressed to Lamar Odam with the aim to recruit him. Which evidently failed, he played college Basketball for the University of Rhode Island. Nonetheless it is an interesting insight and the book once belonged to Lamar Odom. The estimate is based on similar offered or sold at auction.